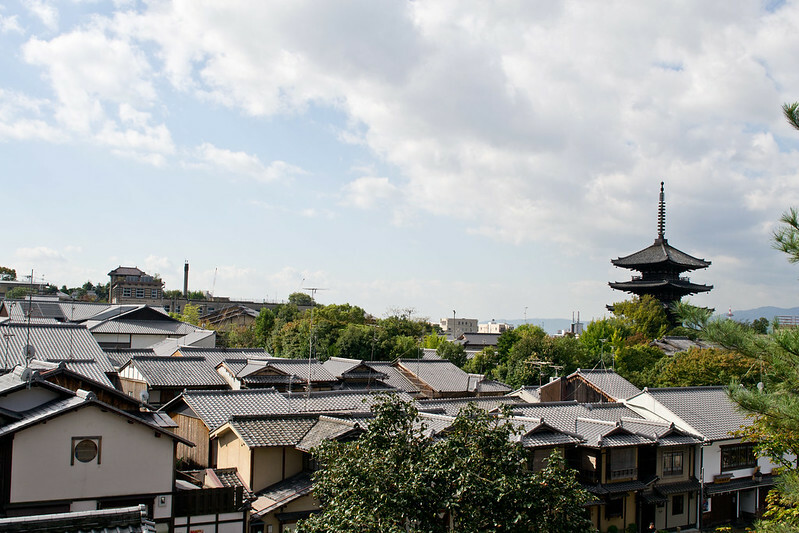 When you think of Kyoto a couple things come to mind: the ancient capital, geishas, and lots and lots of temples. 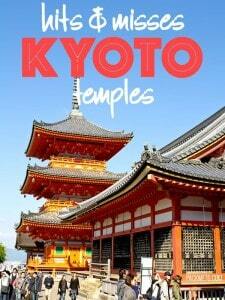 With over 1600 different temples in Kyoto, trying to narrow it down to can be difficult. How can you tell them apart? How are they different? While I absolutely adored Japan for its food and general atmosphere, when it came to cultural attractions, I was left wanting more. For the most part, I wasn’t overly impressed by any of the sites that we ended up seeing and that is how I felt with the temples in Kyoto. 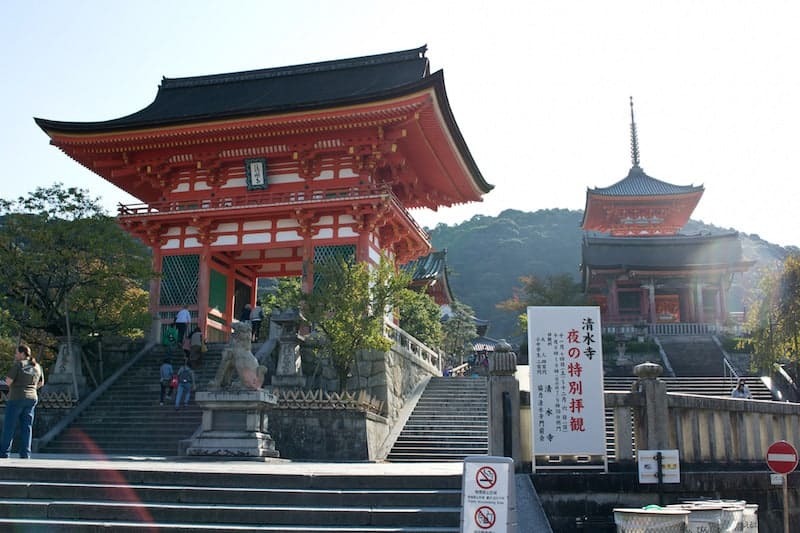 Many of the city’s temples are considered UNESCO World Heritage Sites (including Toji, Kiyomizudera, Enryakuji, Daigoji, Byodoin, Tenryuji, Kinkakuji, Ginkakuji, Ryoanji and Nijojo). 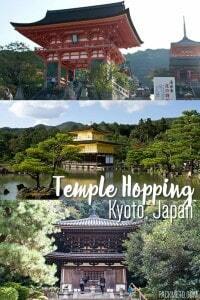 I went to a few, but not all of these temples as some are a lot easier to get to than others. 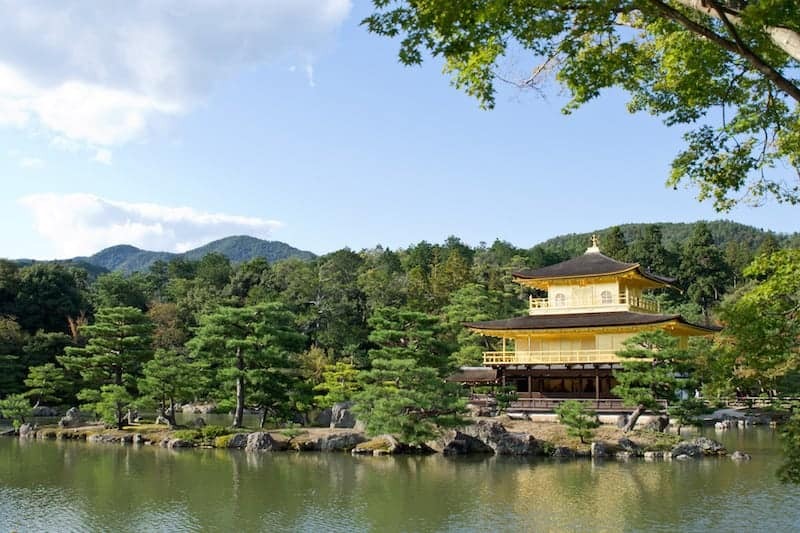 I’ve already written about this beautiful golden temple and it was one of my favourite things I saw in Japan. It’s just too pretty to be missed. However, be prepared for the massive crowds and massive tour groups. Regardless, I definitely suggest you to go visit the temple. Maybe it’s because this was the first temple I visited, but I quite enjoyed wandering through the grounds of Kiyomizu-dera temple (清水寺). Perched above Kyoto, the temple’s distinctive red colour can be seen from across town and is lit up at night. Established in 778, it is the temple of the Goddess of Mercy. It is set among the trees which makes for a picturesque setting, especially against the changing leaves in the fall (and I’d imagine would be lovely during Cherry Blossom season in the spring). The complex is large with a number of buildings and structures to explore. The main building which contains the temple’s Main Hall is by paid admission only which we elected to skip. Hours vary but generally from 6 AM – 6 PM. Check their website for the dates of your visit. Kodai-ji (高台寺) is located walking distance to Kiyomizu-dera. 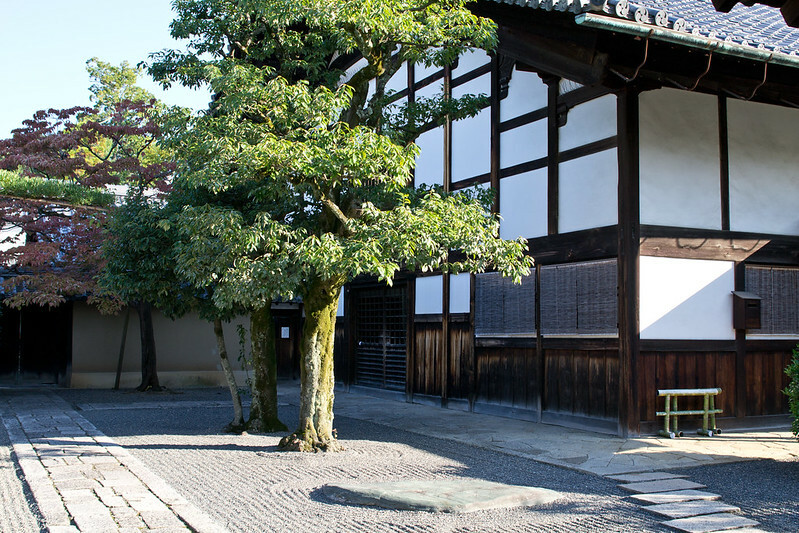 It was established in 1606 in memory of Toyotomi Hideyoshi, one of Japan’s greatest historical figures. 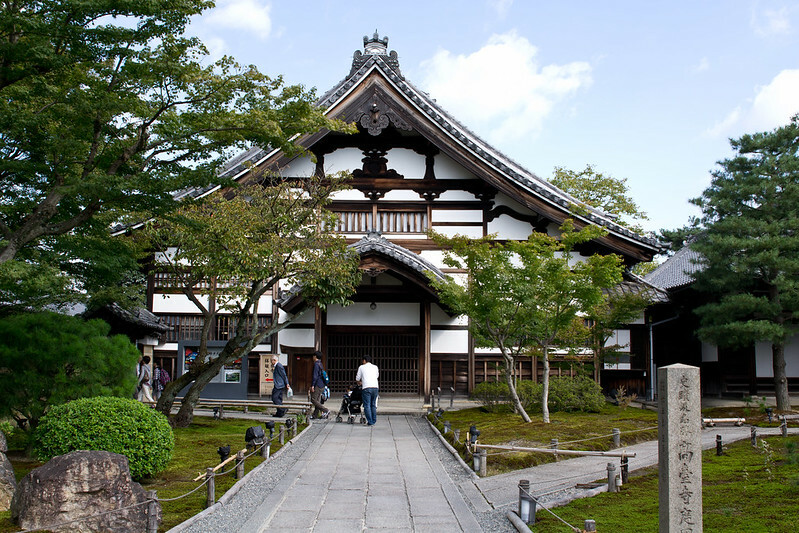 Its buildings are considered important cultural properties of Japan. Especially of note are the Main Gate and the Spirit Hall for its use of maki-e, a Japanese lacquer sprinkled with gold or silver powder as a decoration. Beyond looking at the main entrance building, we didn’t linger here for very long. The Chion-in (知恩院) temple is dedicated to the head temple of the Jodo sect of Japanese Buddhism, one of the most popular Buddhist sects in Japan. The Sanmon Gate is the entrance up to Chion-in. Rising 24 meters high and 50 meters across, it is the largest wooden gate in Japan and dates back to the early 1600s. Behind it are a steep set of steps that head up to the rest of the temple grounds. Much of grounds are free to the public and we wandered through various buildings, however, there is a fee for the Hōjō and Yūzen’en gardens. 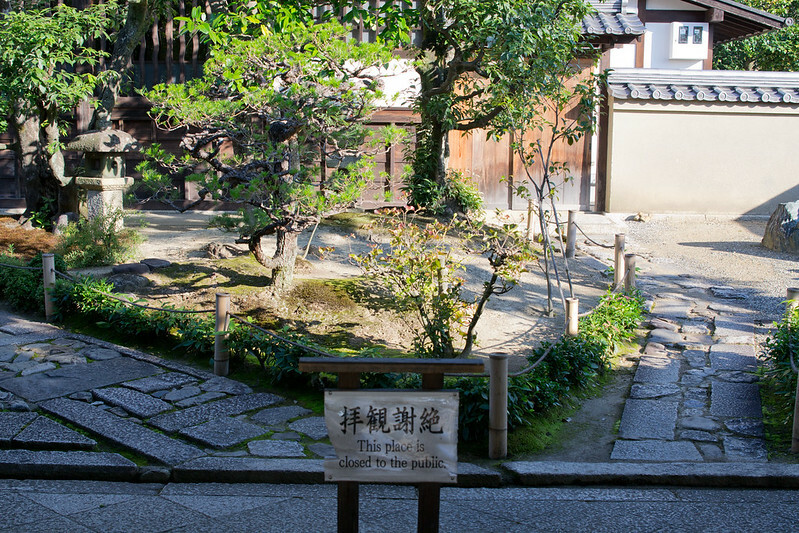 Daitoku-ji is actually made up a number of sub-temples all following the Zen style. I was expecting to see a number of Japanese gardens. However, perhaps due to the early hour, none of the temples allowed us any entry. They were all blocked off. It wasn’t even all that early! Maybe 8:30 or 9. We tried to make the best of it by wandering around on the grounds, but there really wasn’t all that much to see. The most common sight – a closed sign! The gardens sure are pretty no? Tenryu-ji Temple (天龍寺) is located in the Arashiyama district on Kyoto’s west side near the famous bamboo forest. 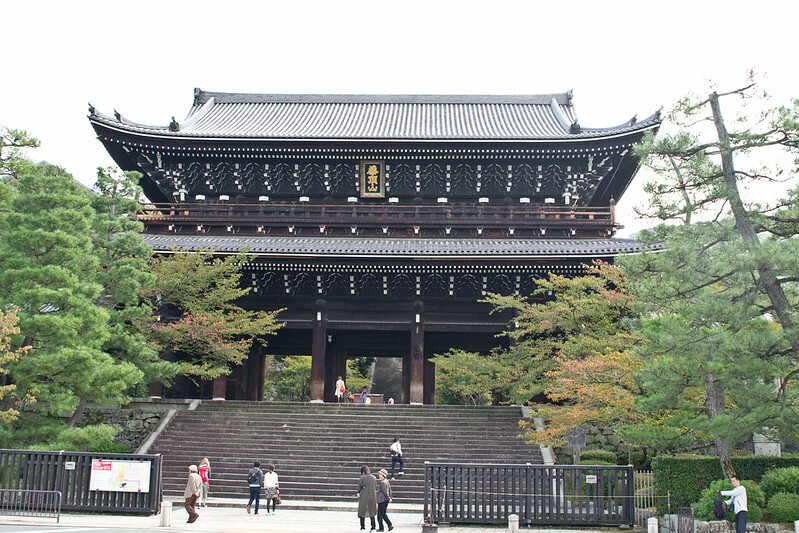 A UNESCO World Heritage Site, it is ranked first among the five Zen temples of Kyoto. 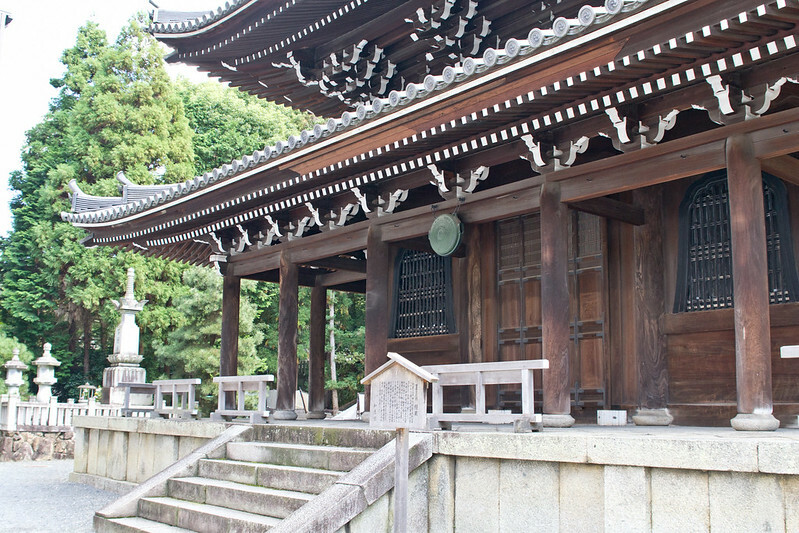 The temple was built in 1339 in memory of Emperor Godaigo. The temple buildings have been rebuilt due to damage from fires and destruction from wars over the years. However, its gardens have survived in its original form. The focal point is a large pond which is surrounded by rocks, trees and the slight incline of the nearby mountains. Very picturesque if it weren’t for all the people (go early!). While I didn’t actually go inside the temple, I did pay the entrance fee into it’s gardens. Because of the open nature of the temple building, I could see much of what was inside right from the garden. 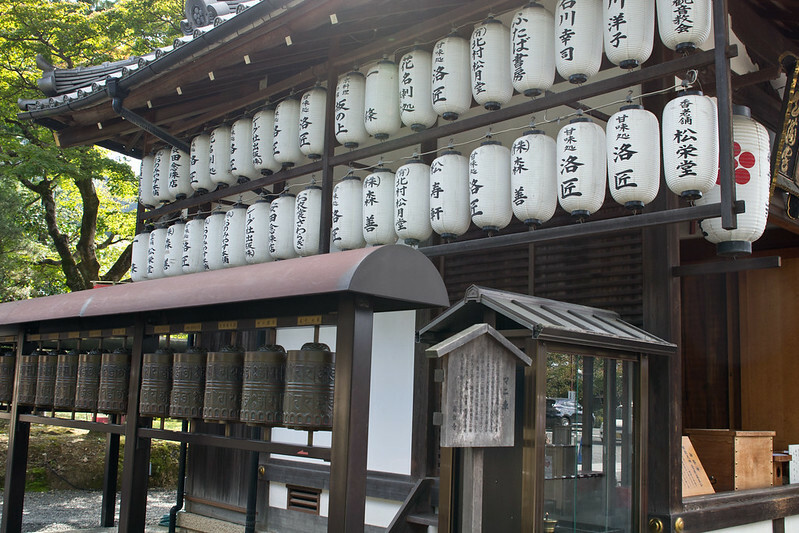 So there you have it, my hits and misses when it came to temples in Kyoto. Maybe it’s because I didn’t pay to go inside any of them and only saw things that were free to the public, but I really wasn’t impressed with a lot of them. I had read about the beauty of the buildings and gardens and I just left feeling disappointed for the most part. 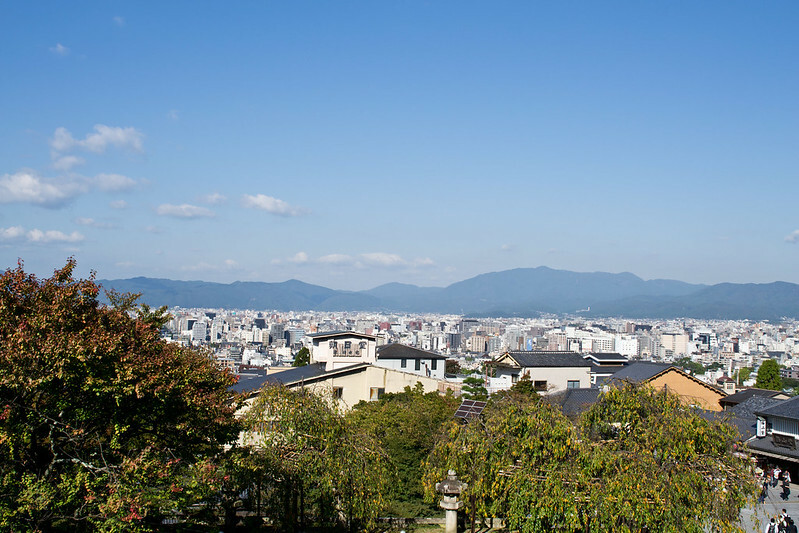 Have you been to Kyoto? If so, which of the many temples did you go to? Which were your hits and misses? This post is linked up to Monday Escapes and Travel Tuesdays. i loved kyoto and its temples. some are nice to pass through, not all I agree are worth going out of your way to find. It can be a bit difficult to work out which temples to visit. We really enjoyed The Golden Pavilion (apart from the crowds…) and also only went into the garden in Tenryu-ji, but it was definitely fabulous – we were there first thing when it opened so were able to enjoy it without the crowds. We also really enjoyed visiting Fushimi-inari Temple with the lovely red gates – again lots of crowds but when we climbed the hill it didn’t take long for the numbers to drop off – and it was great to see so many people in traditional dress also enjoying the climb. Ooh! I think I would have enjoyed Tenryu-ji without all the people. It wasn’t too bad the day we were there because people were spread out, but I can see it being over crowded very quickly. And agreed, the fushimi inari shrine is really great to visit. You guys sure packed in a lot in the few days! I don’t really feel like I missed out on any of these. After all, there are only so many temples you can see before feeling bored! I suppose the Golden Pavilion would have been nice to see, and the Kiyomizu-dera Temple looks pretty and more unique too. Nope, I don’t think you guys really missed out either. Most of them really have nothing all that interesting to look at. It sounds like we did a lot, but we had spread it out over about 3 days so it was really managable. What a wonderful time! So many gorgeous temples. I hope to go someday! Kyoto looks amazing! Thanks for sharing such great pics. I hope to go there some day. It really is fantastic. I hope you get a chance to visit one day. It sounds like temples in Japan could be equated to cathedrals in Europe…and that fatigue can be very real, very fast! I think that places that really warrant attention can be appreciated even without paying entrance fees, so I don’t think you were wrong to avoid those costs. You probably would have been even more disappointed! I have yet to get to Japan, but this helps me realize that I shouldn’t try to see every single temple, or I’ll go crazy! Thanks for linking up with us! Yes definitely temple fatigue is a real thing. I agree you shouldn’t try to see them all. I only saw a small fraction and that was already more than enough. Such a great post!! Great idea to share what you most liked the the ones you least liked. Also very handy to inform the opening times of each one!! Beautiful pictures! I’m sorry that you were left unsatisfied with some of the temples in Kyoto. I definitely agree that the Golden Pavilion is not to be missed, but I can’t say that the other temples left me underwhelmed. I guess a lot has to do with expectations…and the fact that you probably visited so many temples, that their architecture began to feel a bit repetitive. 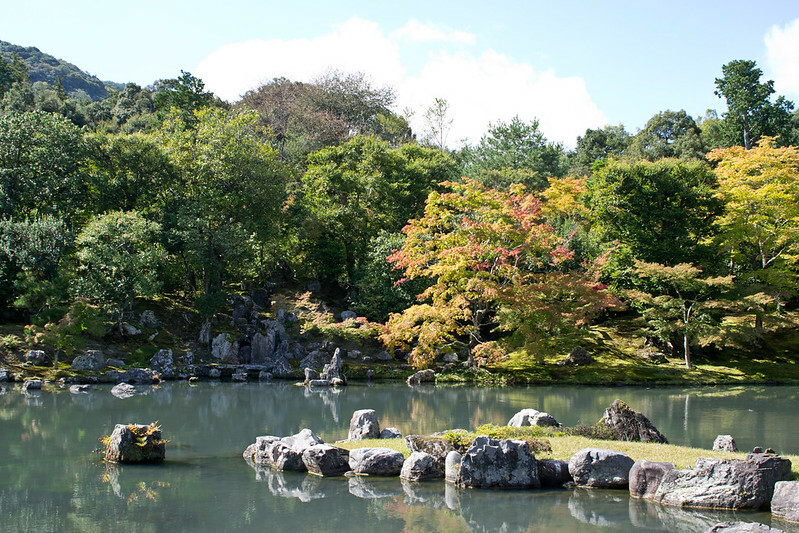 The garden of the Tenryu-Ji Temple looks so serene though! Yes, that is a good point. I probably saw too many temples in too short of a time. We tried to spread them out as much as possible, but when you have limited time, it’s tough.